Thanks Jenny! 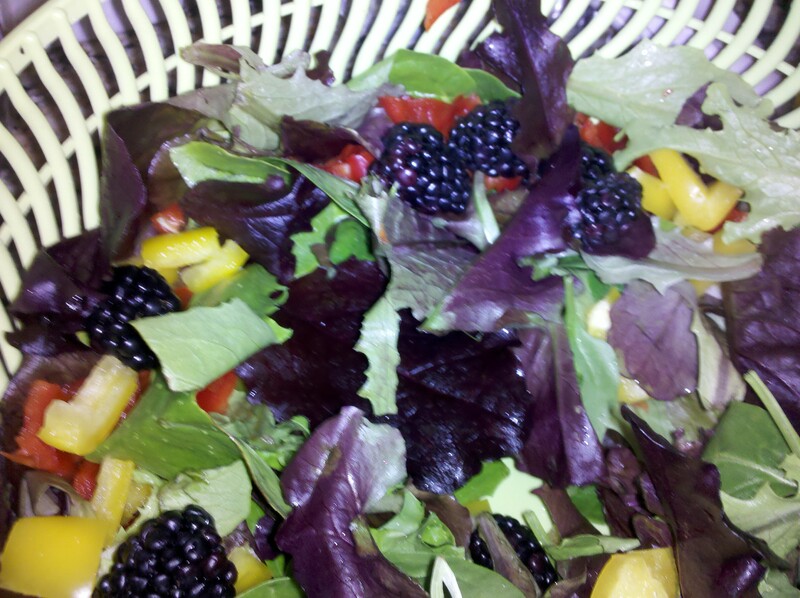 One of my boys loves blackberries so I just threw some in the salad! I love making salads and so I just put this one together! Appreciate you stopping by, FMF friends rock! when He whispers … always worth paying attention to … always! Could you please tell me what the salad is with the blackberries? I’ve never seen blackberries in a salad before. Looks interesting. I seriously wish I had your magic hands. 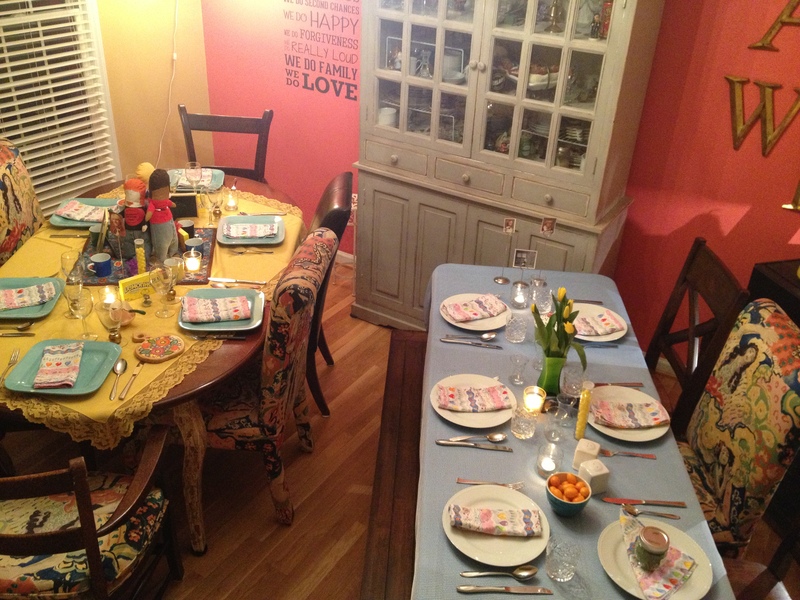 The table setting is simply beautiful, so inviting. A heads-up: most veggies and fruit don’t mix, esp berries. Hard on digestion. And fruit will ferment when eaten with other foods, though most cookbooks out there are clueless to this fact. Feel free to blip this comment. You are totally on board with food and God. The connection is stronger than 99% of the world seem to realize! There is a spiritual element to what we eat. Blessings. Thanks for that perspective! I can see the fruit fermenting but it does add some beautiful color and such! Feel free to offer me other suggestions, I like learning new things! Yes, absolutely Diana! I’m impressed with the word “nascent,” I think I only just recently learned what it means. Stay in touch and let me know when you get it started. I’m interested! Thank you Diana! I think you don’t want me decorating you, I need some work on that! And some $$$! HA! I’ll check out your Journey blog!